Today I have the pleasure of hosting friend and Pets in Space co-author Laurie A. Green. She is going to share the unique challenges she faced while writing her story, Courting Disaster: StarDog 2. Writing Courting Disaster: StarDog 2 for Embrace the Romance: Pets in Space 2 presented a unique challenge. 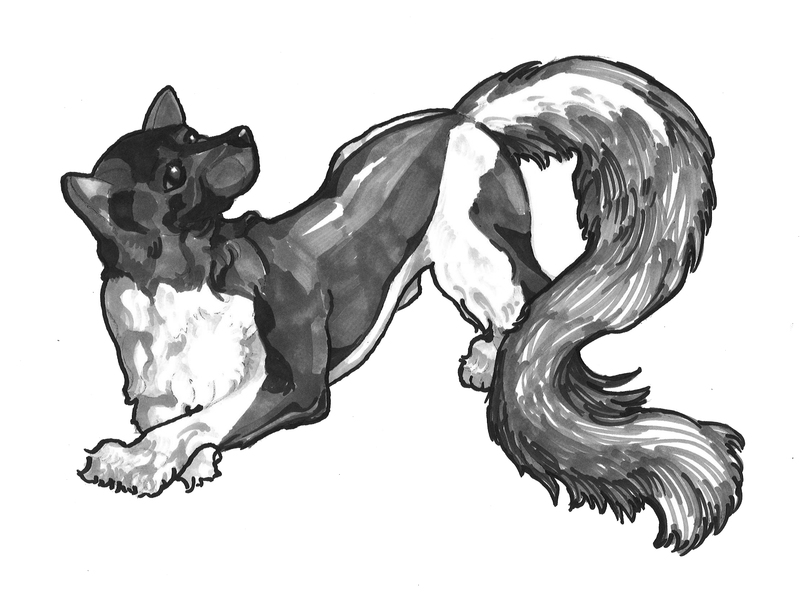 How would I write a story set three years after both the original Pets in Space story—StarDog—and the main novel, Inherit the Stars, without including some pretty major spoilers? Well, it took a bit of strategizing but I *think* I pulled it off. “Well, the Ithians knew, too. The premier gave him…certain allowances…exemptions that he would never have afforded to the other slaves. So, yes, a slight dodge there. I didn’t want to spill the beans and spoil the surprises that might be in store for readers who decide they want to know more about this universe by reading the novel. “You have a sister?” Jagger asked. “I’m sorry.” Jagger squinted at some of the readouts. Poor kid. Must’ve been tough on her to lose her sibling. “No. But he blamed himself for not protecting her…” Ketsia fell silent, and though Jagger couldn’t see her eyes, he could read her grief in the slump of her shoulders and fall of her head. There was a lot more she wasn’t disclosing, but he didn’t want to press her. Not now. His curiosity about Sair’s previous entanglements could wait for another time and a different avenue. 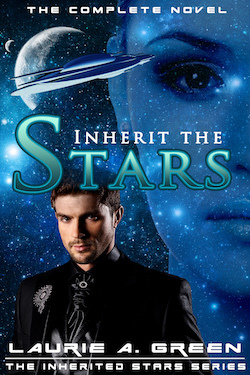 Sair is the hero of Inherit the Stars and the novel is told entirely from his perspective. My novel in Embrace the Romance, Courting Disaster, provides a different spin on Sair from the viewpoint of his former nemesis, Captain Jagger, without disclosing too much about his past adventures. For those who have read the previous stories, you’re perfectly welcome to put on a knowing grin and give a nod to some of these references. You lucky duck! You already know the secrets behind those scenes, but I promise you a few new discoveries in this installment. Courting Disaster promises a glimpse into an imperfect, not-too-distant future and the continuing adventures of some of your favorite main players in the books, as well as a bit more about their histories and family legacy. It’s always a pleasure having my fellow SciFi Rom authors over to play. Hope you enjoyed! 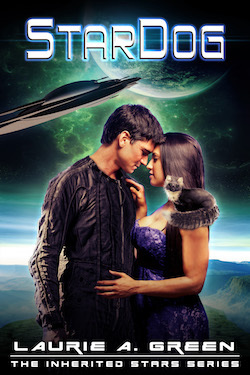 This entry was posted in Books Blog and tagged #sfr, Alien Romance, Books, Laurie A. Green, Pets in Space, Romance, Science Fiction Romance. Bookmark the permalink.